Fitness trackers seem to be everywhere. Millions of people have made wearable fitness monitors part of their day-to-day wardrobe, picking out wrist bands to match their belt and shoes. But how accurate are they when it comes to monitoring your level of physical activity and estimating how many calories you burn during your 30-minute sweat session on the stair mill? Let's find out! When it comes to fitness trackers, there are two general types of monitors: accelerometers and heart rate monitors. Accelerometer-based monitors, such as the Fitbit, use predictive equations using your body's acceleration in different directions to estimate energy expenditure. 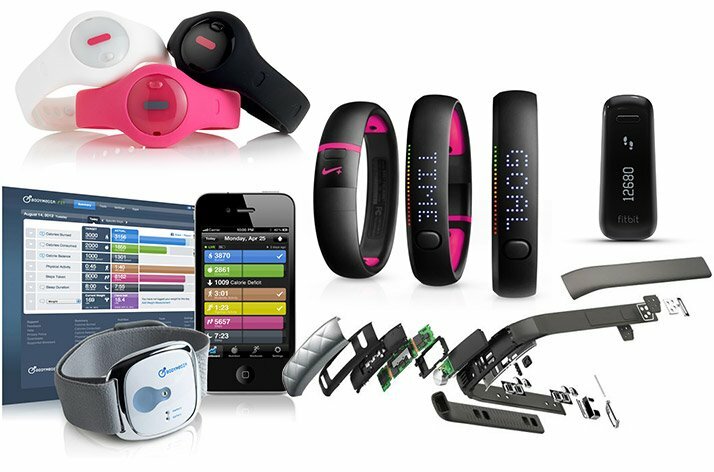 NikeFuel Bands also fall into this category, along with FitBug, BodyMedia, Actigraph, and Jawbone. Accelerometer-based monitors, such as the Fitbit, use predictive equations using your body's acceleration in different directions to estimate energy expenditure. Heart-rate monitors, on the other hand, use equations based on age, height, gender, physical-activity level, and resting heart rate to estimate the number of calories you burn. Researchers from Columbia University Medical Center found that the Fitbit, worn either on the hip or wrist, tracked energy expenditure within 3-4 calories, compared to laboratory-based standards. While 25 calories may not seem like that large of a difference, extend this out to an hour, and you're looking at 250-calorie underestimation for cycling or stair stepping. This obviously makes weight management and planning dietary intake for specific goals difficult. So while the Fitbit may be useful as a rough guide during specific activities, particularly walking or running, I wouldn't trust its ability to accurately track energy expenditure over a full day. This is especially true for anyone with extreme body-composition goals, such as trying to be stage-ready. Not to mention these monitors can run upwards of $300, depending on the model. 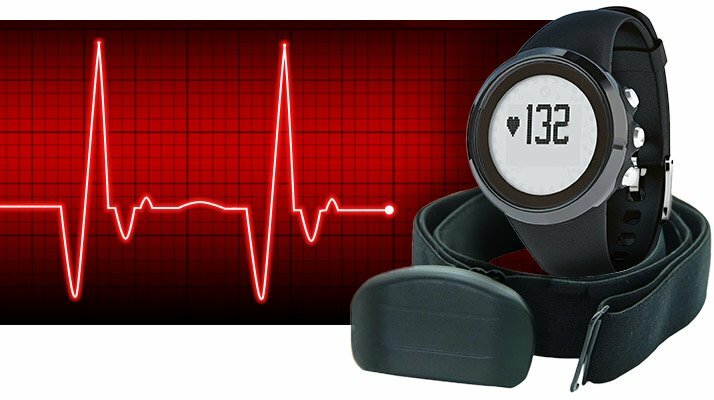 Heart-rate monitors are a favorite among athletes, especially endurance athletes, as a means to monitor their intensity levels and track their recovery during workouts. Despite their popularity, relatively little research has been done to assess their ability to accurately estimate energy expenditure. Heart-rate monitors are a favorite among athletes, especially endurance athletes, as a means to monitor their intensity levels and track their recovery during workouts. Additionally, it's been shown that when performing at higher intensities—think interval training—the accuracy of the heart-rate measurement decreases.5 Most monitors employ a generalized heart-rate equation to estimate energy expenditure. This makes it applicable to a wide audience, but also limits its accuracy, especially when training at higher intensities. A host of factors such as stress, excitement, temperature, and hydration status can affect heart rate and energy expenditure during activity. For example, going for a run in Georgia in mid-August when it's 95 degrees and 90 percent humidity will drive up your heart rate in no time. Likewise, exercising in a dehydrated state will increase your heart rate, which may give a false indication of energy expenditure. Training status can also alter the accuracy of these monitors. Fitter individuals tend to have a lower exercising heart rate at any given intensity, compared to unfit individuals. More so, trained athletes become more efficient at using energy for any given activity, meaning they will burn fewer calories than their untrained compadres. Consider these factors when using a heart-rate monitor to track caloric expenditure. Your fitness monitor may not be able to estimate energy expenditure down to the exact calorie, but it can still be useful. Most studies have found these trackers to be accurate when it comes to counting steps, making them great motivational tools to help you sit a little less and move a little more. Not only can they give you a rough estimate of how active you are throughout the day, but you can actually sign up for competitions and compete with friends and co-workers to see who can get the most steps in a day. And don't ditch your heart-rate monitor just yet; it can be a great tool to ensure you're reaching the intensity you want during your HIIT workouts. Some monitors will even let you add your own heart-rate zones instead of just settling for the default zones. The more personalized zones may result in more effective training sessions. Don't ditch your heart-rate monitor just yet; it can be a great tool to ensure you're reaching the intensity you want during your HIIT workouts. Or, once you have enough data recorded, you can monitor your heart-rate response to a given workout and assess your recovery, or readiness to train. Let's say you normally run 3 miles averaging 8 miles per hour with an average heart rate of 130 beats per minute. Today, you're reading 175 beats per minute for the same distance and speed. There's a good chance you may not be fully recovered and either need to slow down your pace to an active recovery, or give yourself another day of rest. Likewise, you can use the Fitbit to monitor sleep. It can help measure the quantity and quality of your sleep, which, over time, you can adjust to try to optimize your sleep and recovery. Make sure to enter your personal information (age, gender, height, and weight) into your fitness tracker. This information will be used to give you a more accurate estimation of the number of steps you take, distance traveled, and calories burned. Be consistent with the placement of your tracker. Whether you wear it on your hip or wrist, make sure to have it on the same side every time you use it. Calibrate your device. Although this is step is considered optional for many devices, taking the time to calibrate your fitness tracker can significantly improve its accuracy. If you use a heart-rate monitor during your workouts, pay attention to the days you take a pre-workout or any other supplement with caffeine. For some individuals, this will cause a drastic increase in heart rate which may affect monitor readings. Lee, J. M., Kim, Y., & Welk, G. J. (2014). Validity of consumer-based physical activity monitors. Medicine and Science in Sports and Exercise, 46(9), 1840-1848. Diaz, K. M., Krupka, D. J., Chang, M. J., Peacock, J., Ma, Y., Goldsmith, J., ... & Davidson, K. W. (2015). 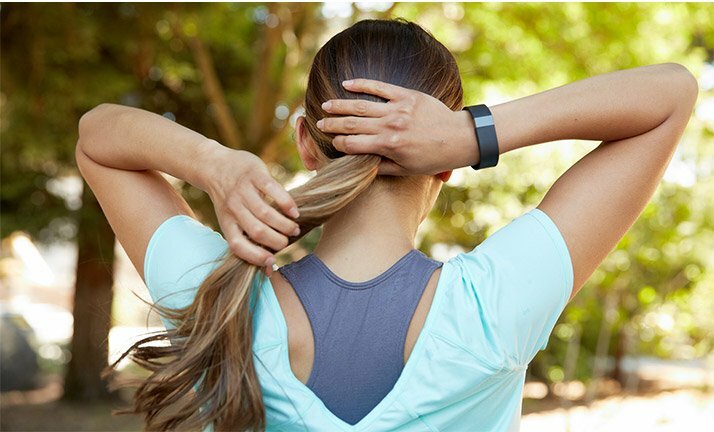 Fitbit®: An accurate and reliable device for wireless physical activity tracking. International Journal of Cardiology, 185, 138-140. Sasaki, J. E., Hickey, A., Mavilia, M., Tedesco, J., John, D., Kozey Keadle, S., & Freedson, P. S. (2014). Validation of the Fitbit Wireless Activity Tracker® for Prediction of Energy Expenditure. Journal of Physical Activity and Health, 12(2), 149-154. Dannecker, K. L., Sazonova, N. A., Melanson, E. L., Sazonov, E. S., & Browning, R. C. (2013). A comparison of energy expenditure estimation of several physical activity monitors. Medicine and Science in Sports and Exercise, 45(11), 2105-2112. Crouter, S. E., Albright, C., & Bassett, D. R. (2004). Accuracy of polar S410 heart rate monitor to estimate energy cost of exercise. Medicine and Science in Sports and Exercise, 36(8), 1433-1439.